For all of your dog and cat health needs, trust Animal Crackers Veterinary Hospital, as your veterinarian and groomer located in in Zanesville, Ohio. With experienced & caring staff, convenient facilities and extended daily hours, we're going beyond exPETcations. Our practice maintains the philosophy that quality medical care should be the expectation of every pet owner. In addition to our competitive prices, our commitment to delivering quality care for your pet is unparalleled. We never compromise, never waiver from our professional recommendations and always seek to provide the absolute best care for your beloved pet. At Animal Crackers Veterinary Hospital, we have invested in the latest technology, partnered with reputable vendors and hired the most qualified of professionals in an effort to provide premium care for your pet. Whether your pet is in need of a wellness examination or more serious treatment, they are in the care of competent professionals. At our facility, we seek to not only hire the best veterinarians but we remain steadfast in our commitment to hire only registered veterinary technicians. These paraprofessionals are expertly trained in the handling, care and treatment of your pet. Education also plays a critical role inside of Animal Crackers Veterinary Hospital. We see it as our mission to provide our clients with as much information regarding the care of their pet as possible. That information is conveyed in person, in writing and over the web and we will not cease in our strides to educate our client base. Not only is the education of our clients important, we feel that continuous education and professional development of our staff is as important as purchasing leading edge technology. Your pet is very important to you, as a companion, friend, and family member. Like any family member, your pet deserves the finest possible health care. Our staff at the Animal Crackers Veterinary Hospital provides compassionate veterinary care, treating your pet with the same attention and concern as we would with our own pets. A full range of services and products are available for your pet. Examinations are given when your pet is visiting for vaccinations or due to illness. Spays and neuters are performed often in our hospital. This is an essential part of keeping your pet healthier and more attentive to your commands, as well as, preventing the pet overpopulation problem. 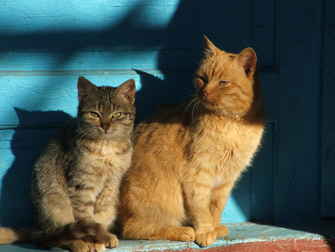 When spayed or neutered, pets are less likely to roam away. We perform veterinary dental care during the week by appointment. This includes preventive care, which is a routine cleaning, scaling, and polishing of the teeth. Only the safest anesthesia is used and your pet is only asleep for a short period. Healthy teeth and gums are just as important for your pet as it is for us humans. It not only improves breath and whitens the teeth, but also helps prevent other health issues. Our groomer is available Tuesdays through Thursdays. Please call for an appointment. You can know that that your pet will be properly taken care of when you board your pet in Zanesville, Oh with Animal Crackers Veterinarian Hospital.